* The information in this list of candidates is based on the information available as of 8th February 2011 and will be updated when new information becomes available. Marcella is married to Seamus and has two children Evan 20 and Rebecca 17. Her late father, Bernard J Corcoran was a councillor in the Ferbane area for 32 years and grandfather, Bernie Corcoran, was also a councillor. Marcella was educated at St. Joseph’s and St. Saran’s Secondary School in Ferbane. Marcella has a diploma in Information Technology, and she completed an ‘Effective Politics Programme’ in Boston College in the US. 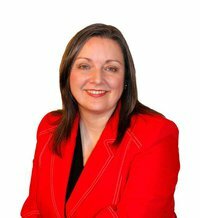 Marcella was elected to Offaly County Council in 1999 and 2004. Marcella is the Chairperson of the Ferbane Area Committee. Marcella was mad Chairperson of the Midlands Regional Authority in 2006. Marcella is a member of the Housing, Social and Cultural Strategic Policy Committee, and the Offaly Joint Policing Committee. Marcella is a member of the Shannon River Basin District Advisory Council. Marcella is a Peace Commissioner. Marcella was a member of the Fine Gael National Executive Council from 2004 to 2009. 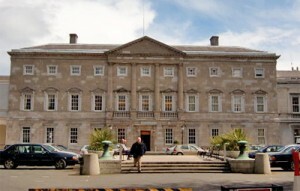 Marcella was Chairperson of Fine Gael Council of Local Representatives from 2006 to 2009. Marcella is a member of the Board of Directors and Chairperson of Birr Theatre and Arts Centre. She is a member of the Board of Film of Offaly, a member of the Board of Directors with Filmbase, she is Chairperson of West Offaly Rural Transport Programme working group, a member of Board of Management for Gallen CS in Ferbane, a member of National Campaign for the Arts, National Day of Action, Steering Group, she is one of the founding members of the Clareen Drama Group, and she is the Chairperson of the Offline Film Festival. Marcella featured in ‘That’s Politics’, a book by Mary Kerrigan. Marcella won complaint brought to the Broadcasting Commission of Ireland against TV3 in September 2006 under Section 24(2) (b) of the Broadcasting Act 2001. Marcella is a member of the Consumers Association of Ireland and the Irish Garden Plant Society. Barry is married to Mary and has three children, Gemma, Lorcan & Eoin. He works as an auctioneer and valuer. Liam Dumpleton is a news journalist with Midlands 103; Liam was educated at Ballyfermot Senior College where he studied a BJS course in Broadcasting and Journalism. 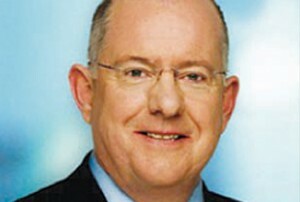 Charlie Flanagan was appointed Fine Gael Front Bench Spokesperson on Children in July 2010. He was previously Spokesperson on Justice, Equality and Law Reform. Born and raised in Mountmellick, he now lives in Portlaoise, with his wife Mary and their two daughters. Charlie is an active parliamentarian and has introduced legislation on a range of issues in recent months, including civil liability, violent crime prevention and home defence. Along with his colleague, Deputy Alan Shatter, he played an active role in introducing private members legislation to enhance the rights of victims of crime. Deputy Flanagan has been a staunch supporter of the need for more community Gardaí in both urban and rural settings. Having served as Opposition Chief Whip in two Dails he is an expert in the formal rules and precedent governing practice and procedure of parliament. He has published Draft Bills and Amendments in a range of areas, notably: Competition Law, Corruption, White Collar Crime, Fraud and Bribery. He has contributed to publications and periodicals, both nationally and internationally, on a diverse range of legal and policy topics. 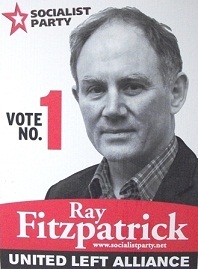 Ray Fitzpatrick is running for the Socialist Party/United Left Alliance. Ray Fitzpatrick was a labour party member for 20+ years until the recent selection convention of John Whelan when there was a walkout of in excess of 75% of the party members that were present at the convention. The imposition of the candidate John whelan, which was reported in all the local papers at the time was just one of many reasons for the mass defection of members to either the United Left Alliance or as Independents that was building over time. This was the catalyst for the formation of the Laois Offally United left Alliance which ray is now running as candidate for but only the last in a long list of many reasons. The reality is that the labour party is no longer a left wing party, but a centre right one. If this is in any doubt one only has to recall when pat rabbitte said on the 06/02/2011 that the party was firmly established within market capitalism. Ray activley fought for the No campaign to lisbon on both occasions even when the labour party turned to the yes second time round. 1. Oppose 100% eviction & reposessions of homes based on inability to pay. 2. Oppose the privatisation proposed by Fine Gael of our state companies such as the ESB, Bord Gais, Coillte etc. 3. Oppose the attack on our state services we all depend on so much, being sacraficed in the name of private bond holders. 4. Oppose in the Dail & on the streets the FG & Labour continuation of the bailout of the falied banks, speculators & faceless/nameless bondholders. Ray is fully committed to delivering true socialist politics for the people & has committed to the United Left Alliance pledge only to take the average Industrial wage should he be elected to dail eireann. Sean Fleming, born in the Swan, County Laois in February 1958, is married to Mary O’Gorman and they have one son. Sean was educated at Salesian College in Ballinakill, and got a degree in BCommerce at UCD. 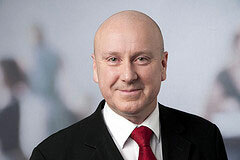 He is a fellow of the Institute of Chartered Accountants in Ireland. 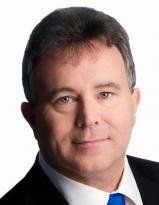 Sean is a full time Public Representative and former Financial Director of the Fianna Fail Party at National Level. 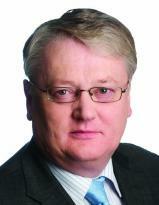 Sean was a member of Laois County Council from 1999 to 2003. 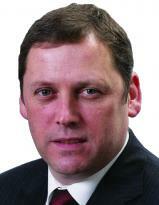 John was elected to Offaly County Council in June 2010. John Moloney was born in Portlaoise in June 1953. John is married to Patricia McEvoy, and they have two sons, and one daughter. John was educated at Patrician Brothers College, Ballyfin, in Laois. Sean is a former undertaker and publican. John was first elected in 1997 and at every subsequent election. 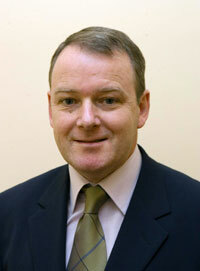 John Moran is the Fine Gael Group Leader on Laois County Council. John Moran was chairperson of Laois County Council between 2007 and 2008. John Moran was re-elected to Laois County Council in June 2009. Liam Quinn was educated at Rochfortbridge Secondary School and the University of Limerick. Liam has previously worked as a teacher. John Whelan has been a journalist for 30 years, he is based in Laois-Offaly and has worked as Editor of the Leinster Express in Portlaoise, the Offaly Express in Tullamore, Leinster Leader in Naas, and as Group Managing Editor of the now defunct Voice group of newspapers. He has been a long time commentator on current affairs from the midlands for the national media. A native of Portlaoise, he now lives in the nearby village of Timahoe with his wife Grazyna, they have three children, Faith, Ricky, and Martyna. John is himself one of a family of seven, and his late father was a staunch community activist and member of the Defence Forces who served with the UN in the Congo. A member of the NUJ since he joined the workforce at 17 years of age he went on to serve as Chairman of the Midlands Branch of the National Union of Journalists and was a member of the NUJ National Council. John is a keen supporter of the GAA and he has been actively involved over the years in local soccer and basketball clubs as well as a founding member of the Laois Surf Club. He is also a founder of the Portlaoise Jazz Festival, the Mountmellick Mardi Gras and the Laois Arts Festival. He has recently published his first novel, ‘The Buddha of Ballyhuppahaun’, a satire strongly influenced by George Orwell’s Animal Farm and Jonathon Swift’s, Gulliver’s Travels.